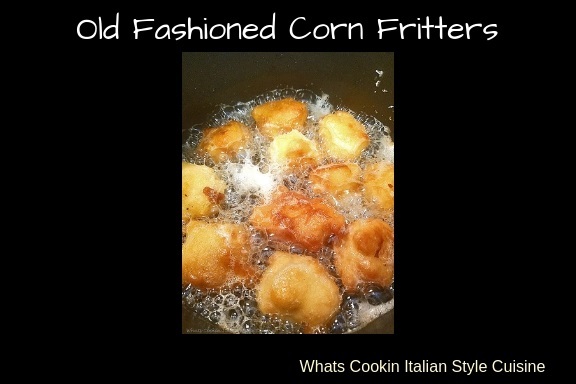 Here is a great recipe for some little old fashioned corn fritters. These are perfect for a snacks anytime with their miniature size! Even though a smaller version of a corn fritter, these pack a lot of flavor. They remind me of donut holes. Eaten warm, they are a pure comfort food with fresh shucked corn all fried into a tender cake. When you first roll these in sugar hot, the powdered sugar turn a little in frosting. I usually roll them twice. I love a thicker sugar on them, it gives them the perfect sweetness needed. When I first came to Florida, I had never heard of a corn fritter. Then all the local Restaurants served them as an appetizer on the table. These are little cake like soft fried pillows. 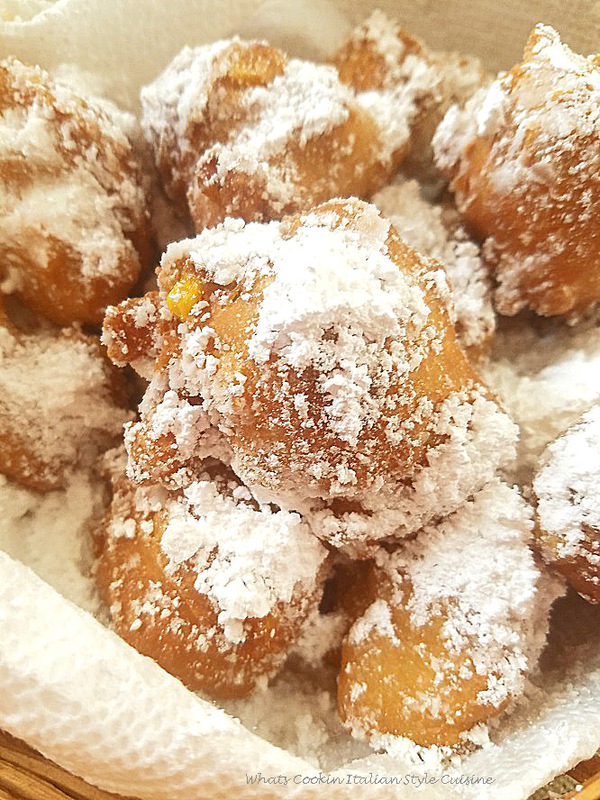 The powdery sugar coated fritters are so delicious and addicting. I couldn't wait to try and make them at home. Oh they smell so good while frying. You won't be able to wait to eat these. A word of caution, they are hot, hot, hot inside! 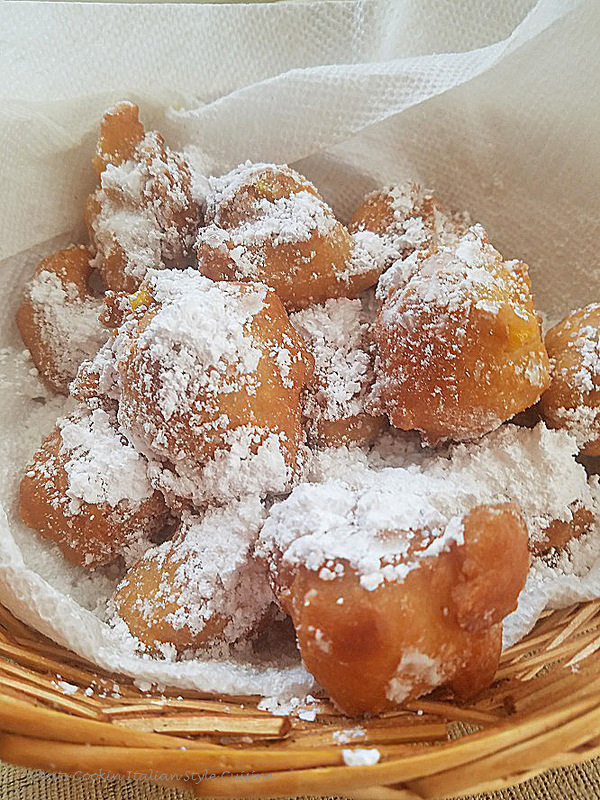 These are a smaller version of the old fashioned kind of fritters. 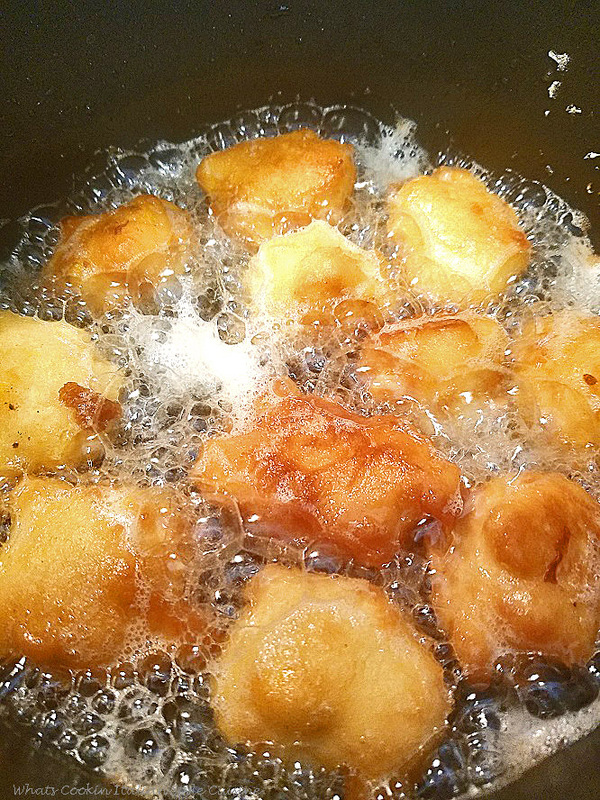 The usual fritters are typically dropped in oil fried very large. I like the bite sized donut holes. 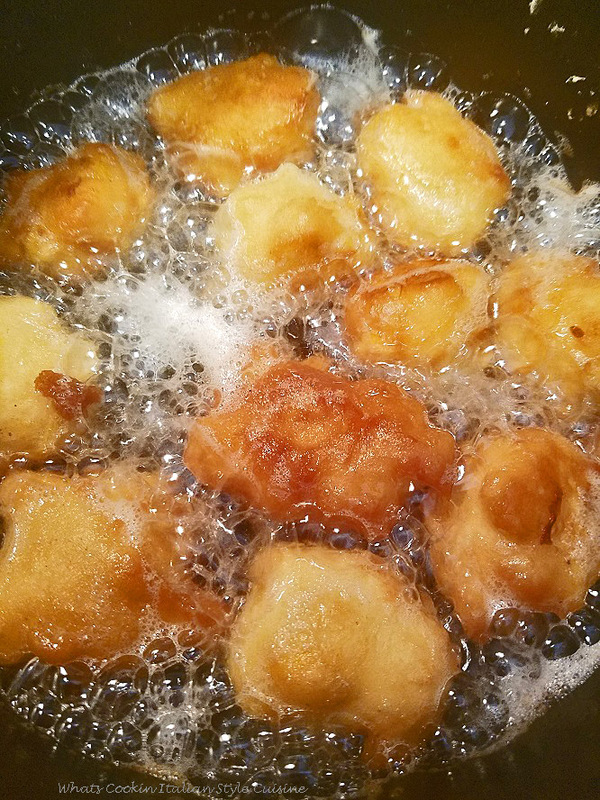 Making them smaller, the old fashioned fritters will cook up quicker. They are easier to eat too. These are a perfect before dinner treat. We often have these with a big fried fish meal. 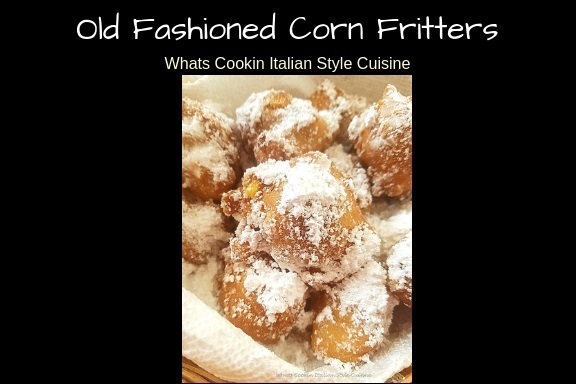 These old fashioned corn fritters are perfect before and after meals. Although we prefer them warm, they are still delicious cold and leftovers are always welcome here. These Mini Corn Fritters need to be eaten warm, they are the best tasting then. Drain on paper towels first to sop up the grease, then roll in powdered sugar. I think they taste best with fresh shucked boiled corn, not canned but you can use either. 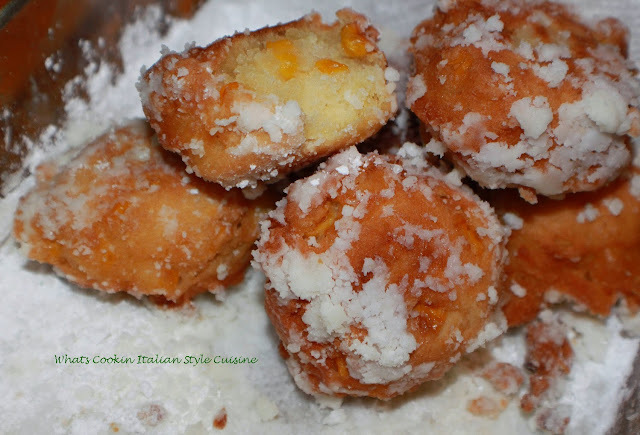 These Old Fashioned Corn fritter donut holes are addicting, you can't stop at one! 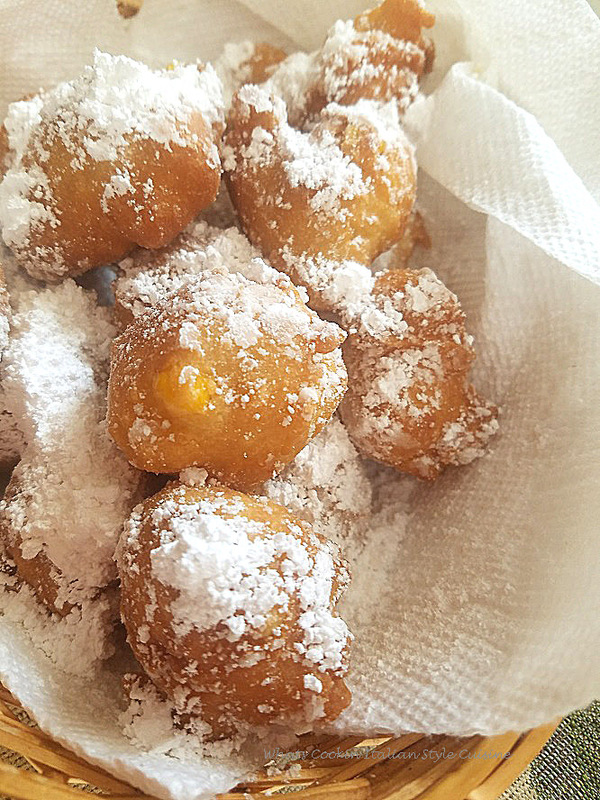 These are mini corn fritters. 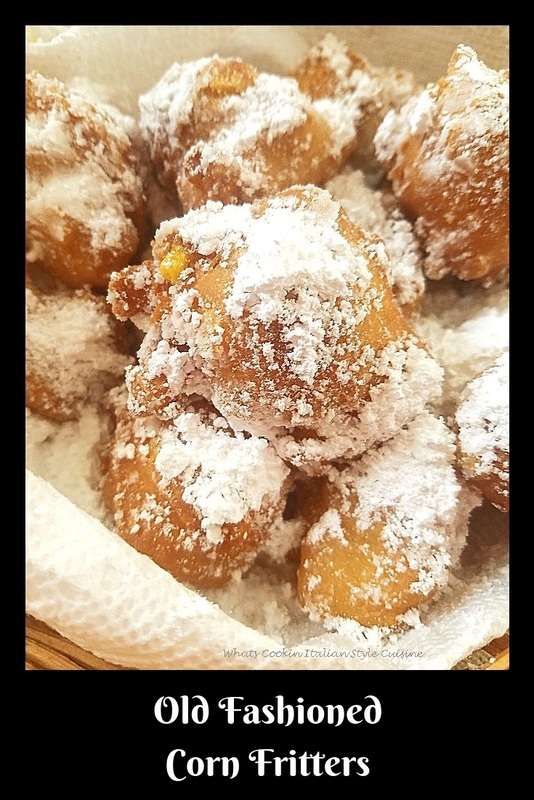 The are like donuts with corn in them and deep fried with powdered sugar garnish. Mix the egg, milk baking powder, salt, butter and sugar in a bowl. Stir in the flour, add the corn. Mix well. Heat oil until using a drop of batter starts to sizzle ( medium heat). Drop by teaspoons full in the hot oil and cook on both side. Shake into powdered sugar and serve hot. These made around 24 double the recipe if you want to feed more than two people! These are addicting! Dearest Claudia, Wishing you a Happy Mother's Day! You are such a blessing to have for a friend. I hope that one day we get to meet in person and share an nice meal together. When I was in college, one day every week for dinner, we had baked ham and corn fritters with syrup - I still remember how much I liked them. They look addictive for sure, I can understand why you got hooked instantly! I've never tried these before but I can imagine how one wouldn't be able to stop at having just one:) Have a great day! Wow, how amazing does that look! I'm sure this is incredibly delicious! This is perfect for me. thank you. YUM! Addictive for sure, and very timely, we have a lot of corn around these days! I love the sound of these bite sized gems!! Delicious!